Almost universally overlooked congressional testimony from then-FBI director Robert Mueller directly contradicts a deliberately-propagated misconception: that the Boston Marathon bombers were unknown to the US government until the Russians issued a vague warning that was dismissed as inconsequential. This revelation calls into question the precise nature of the FBI’s relationship with the bombers—before they became bombers. In allowing FBI interview reports to be read in court in lieu of witness testimony, US District Court Judge George O’Toole inadvertently highlighted an insidious tactic used by the FBI to manipulate witness statements. Anyone who gets a knock at the door from an FBI agent would be well advised to invite an attorney over before opening the door—or your mouth. Does US “Death Sentence” in Boston Case Equal Silence? 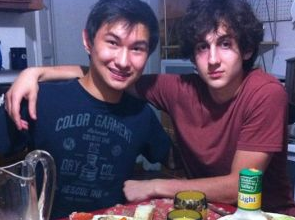 It might seem the most normal thing in the world for the US government to seek the death penalty in the case of Dzhokhar Tsarnaev, the younger of two brothers accused of planting the Boston Marathon bombs. But in a murky case with continued strange goings-on, we’d be wise to consider where this death penalty strategy will lead. Will it help us learn the truth, or will it bury the truth forever?